This serial provides a comprehensive survey of the major topics in the field of developmental biology. These volumes are valuable to researchers in animal and plant development, as well as to students and professionals who want an introduction to cellular and molecular mechanisms of development. The series has recently passed its 30-year mark, making it the longest-running forum for contemporary issues in developmental biology. 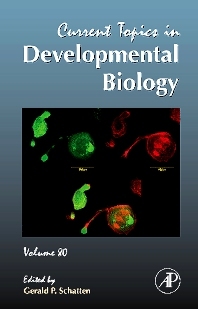 Volume 80 provides seven chapters on the latest research in developmental biology.